The Jeeva park is one Chennai attraction that contributes to an estimated 4.5 percent of the city’s area under green cover! A favourite place for morning and evening walks of the locals, this park is also resorted to for leisure activities by the city’s youth. Bring easily accessible from all through the city, you can easily reach Jeeva Park by public or you preferred mode of transport. The park is very well maintained on the front of cleanliness and hygiene. Not to mention, it is pretty dense with vegetation too. How popular is Jeeva Park? 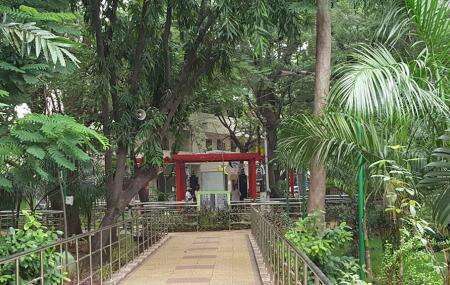 Very good park in Main area of T nagar. Good Maintenance and lovely atmosphere for jogging and walking. Parking facilities are good and fully surrounded by trees and plants. Always chill and greenish so looks peaceful place to spend time. Main road side added advantage and visible to all people's surrounded by the area. A small but well maintained and patronized park,its right next to GN chetty road flyover. The park is active right from its opening at 5am till closing around 7pm. It also has 2 badminton courts, yoga area, an open air gym, pebbled area for bare foot walks apart from a tiled walkway. Well lit and pretty safe at all times! Nice park. Play items many for kids. Make photo album picture best nature. Small mountain. Parking place lot. Solar charger available.